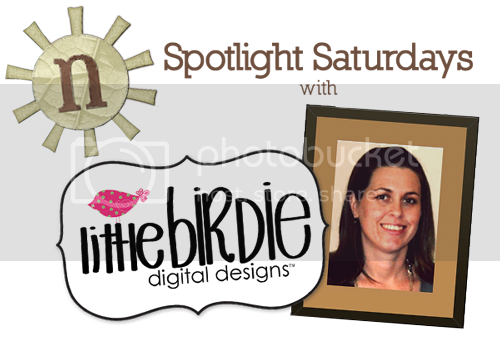 It’s our last Saturday, with Little Birdie Digital Designs, and I don’t know about you, but this month just flew by. I’m not ever sure where it all went. Let’s get to it, shall we, and end Sarah’s month as our featured designer with a bang. Ok, Random Questions Time…What’s the most daredevil like thing you’ve ever done? Ha! Me, daredevil? I’m not a risk-taker at all! Would you rather eat every meal out or do all of your own cooking? Do all of my own cooking! My husband and I love to cook. I can be pretty selective when eating out because of it. I like to know that I’ll be tasting something I’m not going to make in my own kitchen or to get inspired about new ways to cook. Actually not too much. It is easy to get sucked in but I honestly don’t get much time at the computer when my son is awake. But I’m guessing it’s safe to say that I do probably waste at least an hour of every day on social media and that’s a lot already! June is the Great Outdoors Month, how do you plan on celebrating it? Well, outdoors of course! My family and I love spending summer days in Door County, WI – way at that tip of the state that looks like a thumb of a hand. We try to get there as much as possible to enjoy the parks, the shopping, boating, and the food. When we get into town, relaxation just sets in. Life feels a little slower and easier there. Salt water taffy, Sunshine, Free time, Reading, and Scrapbooking! 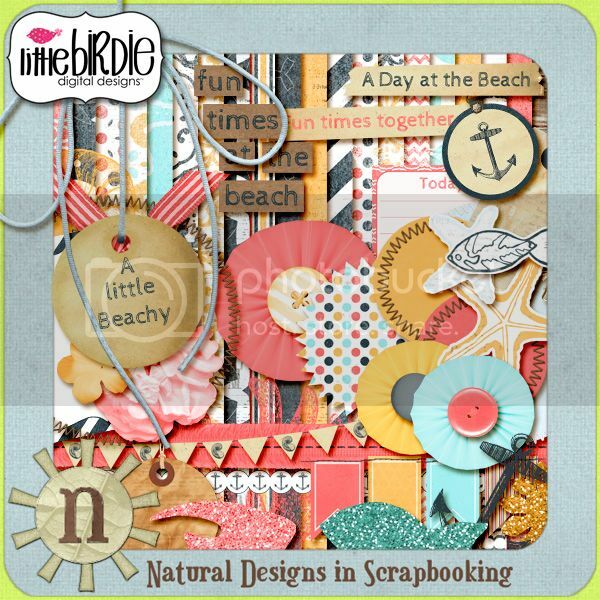 Have you caught these awesome layouts made with some of Little Birdie Digital Designs products? I Love Us by linda1. Credits: Naturally Blue by Little Birdie Digital Designs. Me and My BFF by fortlady. Credits: Girls by Little Birdie Digital Designs. And this really awesome mini album, by Sarah, using her product Inspire. Check out more about Sarah, her products and designs, at her blog.